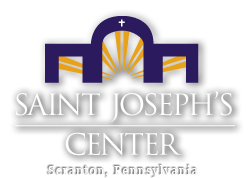 Individuals diagnosed with Intellectual Disability or a developmental delay, pregnant women, young families, couples hoping to adopt, and people who require outpatient therapy can find help at St. Joseph’s Center. Provides access to Pennsylvania workforce development and independent living services provided by the Departments of Labor & Industry and Human Services. ﻿﻿Provides services to assist Pennsylvanians with disabilities get or keep a job. ﻿﻿The mission of the Luzerne-Wyoming Counties Mental Health & Developmental Services is to promote opportunities for persons with mental health and intellectual disabilities to be a part of and participate in the same valued experiences and life events as do other citizens. ﻿The Arc of Luzerne County is dedicated to improving the quality of life of children and adults with Intellectual and Developmental Disabilities and their families through advocacy, resources, and community education. The Arc is a group of consumers, parents, siblings, relatives, friends, and professionals interested in seeing that the rights of people with Intellectual and Developmental Disabilities (ID/D) are upheld and that needed services are provided. The Arc is devoted to providing information, encouraging the development of well-coordinated and integrated services, monitoring the quality of programs, and most importantly, working on behalf of the person with IDD and his/her family to assist in the enhancement and development of skills, attainment of services, and resolution of problems. The Arc is a private, non-profit membership based organization guided by a volunteer board of directors. Step By Step, Inc., a community based, human service agency, is committed to enhancing the quality of life and personal growth of those we serve through support for individual choice and independence. Our vast array of services focuses on meeting the needs of individuals, across the lifespan, while maintaining a vision toward each person’s desire, ability, and right to be a productive and valued member of the community. ﻿The ARCIL is a community based, consumer controlled, nonprofit corporation. ARCIL serves people of all ages with disabilities in Carbon, Luzerne, and Schuylkill Counties with a focus on Information and Referral, Independent Living Skills, Advocacy, and Peer Support. Their mission is to enable people with disabilities to live as independently as possible.